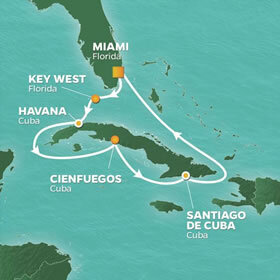 Join us on the unique gay group cruise itinerary to the newly discovered island of Cuba! 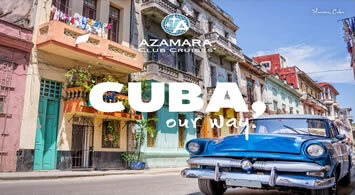 We'll sail from Miami, Florida on the intimate, new luxurious ship, Azamara Pursuit, on this 9-nights cruise to the ports of Cuba! 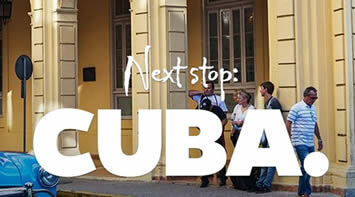 We'll visit Santiago de Cuba, and Cienfuegos! But, the highlight of our cruise will be a two night visit to Havana, Cuba! Don't miss this once-in-a-lifetime cruise to Cuba! 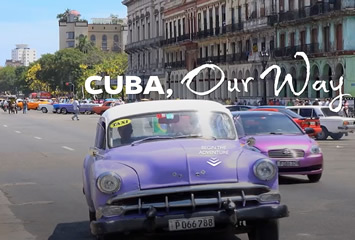 Discover the best of Cuban culture on this intensive Azamara voyage. The journey begins with an evening departure from the magic city of Miami, as you make your way to the beaches, historic sights, and five-star dining of Key West. 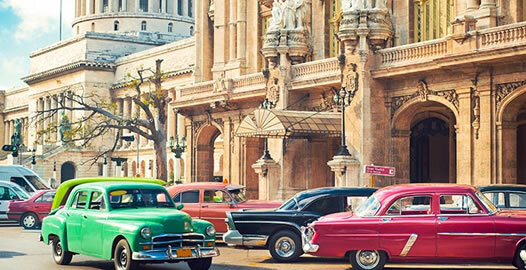 Next, an extended stay in the exciting city of Havana is the perfect way to kick off the Cuban leg of your voyage. Explore more than 900 historic buildings, squares, and landmarks at the UNESCO World Heritage Site of Vieja Habana (Old Havana). Take sunset strolls along the Malecón, Havana’s beloved oceanside boulevard, and get in step with local culture at a salsa club. Arrive in Cienfuegos where elegant French colonial charm meets fiery Caribbean passion. Embrace warm tropical breezes as you take in stunning neoclassical, art nouveau, and art deco architecture. Take a short boat ride to the 17th-century Spanish Fortress Castillo de Jagua and discover lush botanical gardens that will take your breath away. From Cienfuegos, it’s on to an overnight stay in the spirited city of Santiago de Cuba, the home of Bacardi’s first rum factory, and the birthplace of several styles of Cuban music (so be sure to pack your dancing shoes). Visit UNESCO World Heritage-listed Castillo del Morro, the Colonial Historic Center of Santiago, and Basilica of El Cobre, Cuba's most sacred religious site. Enjoy a luxurious day at sea—perfect for lounging poolside, pampering yourself at Sanctum Spa, and enjoying show-stopping performances—before returning to Miami. Azamara ships are not too big (you never feel lost). And they're not too small (you won't run out of new things to do and new people to meet). 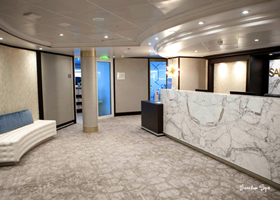 With a capacity of 702 guests on Azamara Pursuit, this mid-sized ship is really just right. You'll love the genial club-like atmosphere and the way our staff and crew get to know you. And you'll feel the same friendliness with your fellow voyagers. 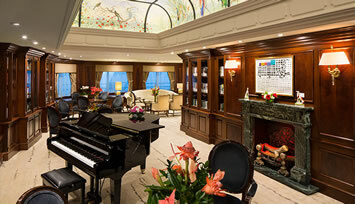 Azamara Club Cruises strive to be the world's top deluxe cruise line. As such, Azamara are committed to providing you with unparalleled service, the finest dining at sea, a glorious spa experience and we'll take you to awe-inspiring destinations. Azamara is the deluxe cruise experience for discerning travelers who long to reach out-of-the-ordinary destinations and indulge in amenities and service unparalleled on the high seas. 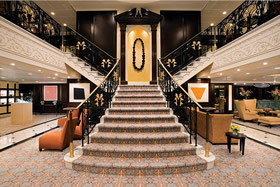 The unique offerings of Azamara are beyond compare: butler service is provided in every stateroom; our shore excursions (the Azamara Immersions) are designed to let guests become part of the fabric of life in each destination, instead of merely being an observer. Our enrichment programs offer everything from culinary to photographic explorations. 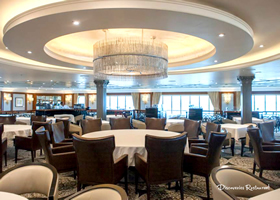 In addition, our two specialty restaurants provide the finest cuisine at sea. Live entertainment can be enjoyed nightly and the level of service offered is unmatched. 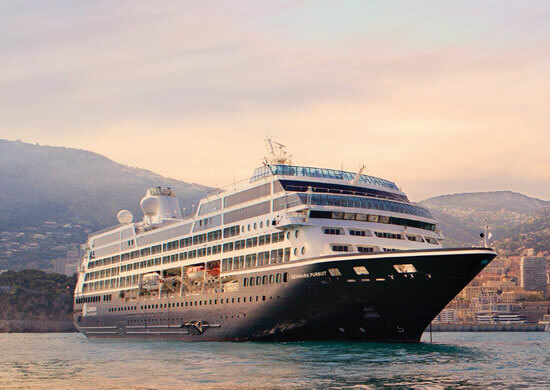 Specifically designed to be smaller and more sleek than most cruise ships, Azamara Pursuit is filled bow-to-stern with wondrous luxuries and appointments that enhance your voyage of discovery-making it one that you won't soon forget. Pursuit boasts two specialty restaurants, concierge amenities, our Spa and Wellness Center, piano bar, Wine Bar, live entertainment, daily enrichment programs (such as evening lectures), and much more. Satisfy your appetite for luxury and adventure on board Journey. Located just 90 miles from Cuba, Key West is one of the sunniest cities in the US. It’s only four miles long by two miles wide, and filled with beaches, historic sites, international restaurants, and a very lively nightlife. Meander down Duval Street, take a walking tour to see some of the island’s best architecture, courtyards, and gardens, or explore in the coral reefs and wrecks off Key West. A stroll down the Prado, through the historic neighborhood of Vieja Habana (Old Havana), provides a glimpse into the city’s 16th-century heritage. Wander past the pastel hues of Havana’s beloved oceanside boulevard, the Malecón, a quintessentially Cuban experience, and hear thundering waves crash over the wall. Enjoy an authentic Cuban lunch at a local paladar and do a little shopping at the Almacenes San José Artisans’ Market, meeting business owners, workers, and other locals along the way. Visit the Havana Club Museum of Rum for a tour (and of course, a tasting!) and explore a local organic farm. Follow in Ernest Hemingway’s footsteps with a visit to his residence, Finca Vigía, then venturing off to one of his favorite retreats, the nearby fishing village of Cojimar, the setting for The Old Man and the Sea. Havana seems to bask in a golden glow from sunrise to sunset. It’s a snapshot in time, as though time once stood still. Yet keeps moving. The colonial waterfront town of Cienfuegos, known as La Perla del Sur (Pearl of the South), sits pretty on the south-central coast of Cuba. Cienfuegos literally translates to "one hundred fires”, and the town certainly adds a bright light to this fascinating country. Clean and laid-back, Cienfuegos is a place whose elegant French charm meets its fiery Caribbean spirit to a refreshing and delightful result. In fact, the names of many of the streets in the old town give a nod to the French origins of the Cienfuegos’s first settlers from Bordeaux and Louisiana, and the town retains a certain French sophistication. Enjoy pleasant breezes as you take in the neoclassical, art nouveau and art deco styles the town has to offer. Discover the stunningly ornate Palacio de Valle along the Paseo del Prado and take in the Arco de Triunfo, the only structure of its kind in Cuba, dedicated to the Cuban independence. But this lovely town is more than just a pretty picture. Enjoy the short boat ride to cross the castle drawbridge and explore Castillo de Jagua, a 17th-century Spanish fortress. Discover the staggering collection of tropical plants among the 97 hectares of the Jardín Botánico de Cienfuegos, an extraordinary botanic garden, or venture a little further to explore the trails, waterfalls and cascading natural pools of Parque el Nicho. For a little reprieve, relax next to the clear water and sandy shores of Playa Rancho Luna beach, and let the sounds of the Caribbean rejuvenate body and soul. Perched on the Caribbean Sea southeast of the capital of Havana is Santiago de Cuba. The soul of Cuba’s second largest city is bustling, diverse and bursting at the seams with fascinating history and cultural life. The launching pad of Castro’s revolution, home of Don Facundo Bacardí’s first rum factory, and birthplace of myriad forms of Cuban music, Santiago de Cuba is an eclectic mix of influences with a distinct Caribbean spirit and Afro-Cuban culture. Enjoy breathtaking views from Castillo de San Pedro de la Roca del Morro, a legendary 16th-century fort known as “El Morro”, or visit Parque Nacional Alejandro de Humboldt in the Nipe-Sagua-Baracoa Mountains, declared by UNESCO as “one of the most biologically diverse tropical island sites on earth.” Stroll around and take it all in: the rich colonial heritage and sights like the imposing but beautiful Basilica de la Caridad del Cobre. The nights are lively and the days are hot in this intriguing city. Whatever your pace, the streets of this vibrant city definitely have a pulse of their own. Azamara Pursuit ship is not too big (you never feel lost). And they're not too small (you won't run out of new things to do and new people to meet). 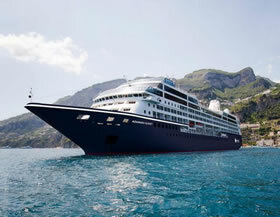 With a capacity of 702 guests Azamara Pursuit is really just right. You'll love the genial club-like atmosphere and the way our staff and crew get to know you. And you'll feel the same friendliness with your fellow voyagers. 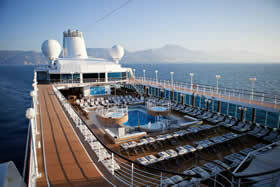 Smaller ship also offer the big advantage of being able to sail to places larger cruise lines can't. With guest satisfaction feedback consistently averaging at nearly 100% and countless industry and peer recognitions from around the world, Azamara sets the bar for delivering a destination-immersive experience to all of our guests who LoveTravel. Earth – A muted color palette of earth tones is being incorporated throughout Azamara ships to evoke a serene, elegant, and warm sense of home. Water – Azamara's new spa suites will feature rain showers with ocean views, double vanities, and outdoor Jacuzzi tubs overlooking the sea. Fire – Sunrises and sunsets will be relished at the new outdoor Pool Grill & Bar, followed by dazzling nights in our completely revitalized entertainment areas. In addition, Azamara integrating a tasteful blend of contemporary and classic designs to create new venues and public spaces, implement new technologies, and upgrade every stateroom and suite, in addition to our restaurants and new holistic Sanctum Spa. Transformed Azamara Spa concept begins with a new name: The Sanctum. And it certainly lives up to its new title. The reimagined Sanctum spa will incorporate new programs with a focus on wellness and vigor. Guests can enjoy several holistic health and beauty treatments combining eastern and western wellness elements. 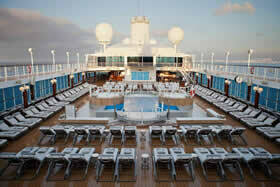 Azamara delicious transformation begins outside, where poolside dining becomes more polished. The guest-favorite outdoor area formerly known as the Pool Grill becomes The Patio—the same sophisticated ambiance of our indoor dining venues, in an oceanside setting. Beautiful tablecloths and candles will set the mood for sunset al fresco dining, thanks to our new evening menu and service. In fact, an entirely reimagined menu will be served by our attentive wait staff. And on occasion, guests can also enjoy live music or an open-air movie across from the pool. Conclude your meal with a variety of frozen yogurt flavors and your choice of toppings at our new Swirl & Top self-serve frozen yogurt station. Or have dessert for dinner. It's your voyage! In 2018, won't you expect to be connected to the world anytime, anywhere? 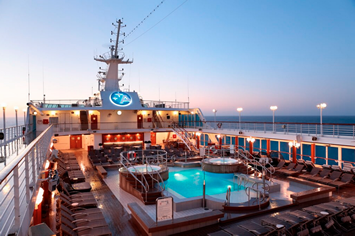 With Azamara new pervasive Wi-Fi, you can do just that. Better onboard Internet connection. Faster speeds. So fast it can even accommodate streaming video or downloading music. Keep in touch with friends and family at home. And that gorgeous moment you just captured on your own private veranda? Share it as soon as you take it! Your OwnPersonal Assistant. At Your Fingertips. Your stateroom now becomes a connection hub with the new interactive iTV. Watch movies on demand. Browse live TV. Quickly find security information and lecturer schedules. Read up about upcoming ports. Get weather updates. Follow the ship's navigation. All from the comfort of your own room or suite. Is there anything iTV can't do? We don't think so! Book Land Discoveries®. Need more information on specialty dining, spa or beverage packages? Keep track of your onboard folio. Submit feedback. Make a housekeeping request. Order in-room dining. And with iTV messaging, you can even text or call other onboard guests using your TV. Inspiration. Indeed. Be sure to venture over to Deck 4 to experience our new Inspiration Center. You can't miss it—it's the area with the huge 100" screen. And trust us, you won't want to miss it. 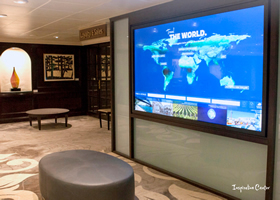 This large interactive display includes several ways to explore the world so you can begin planning your next voyage. Touch the destination of your choice on the world map on screen. Swipe the tiles underneath the map to view videos, beautiful photography, destination information, and day-by-day itineraries for voyages that will take you to your location of choice. Dig deeper and research Land Discoveries and other Destination Immersion experiences for specific ports of interests. A giant touchscreen. For those who love travel. SP - Club Spa suite 414 sq. ft. (38.5 sq m) Veranda: 60 sq. ft. (5.6 sq m). Love the feeling of being at the spa but never want to leave? With our new Club Spa Suites, you won’t have to. Located next to the tranquil Sanctum Spa, our newest suites are the ultimate in contemporary design, comfort and pampering. With easy access to the Spa, open decks, swimming pool, our great restaurants—as well as our newest venue, The Living Room, the Club Spa Suites surround you with organic, elegant décor, and the finest, most soothing amenities. Suites feature comfortable sitting area, daily delivery of healthy snacks, Frette plush robes and slippers, and in-room spa music. All prices are per person, based on double occupancy, and include all meals, onboard gratuities, accommodations, and entertainment! Taxes of $261.37pp and optional insurance are additional. A Cuba visa and health insurance is required for US citizens and will be arranged by the cruise line for approximately $75 per person additional. A deposit of $550.00 per person is required upon booking. Final payment is due 120 days before sailing.